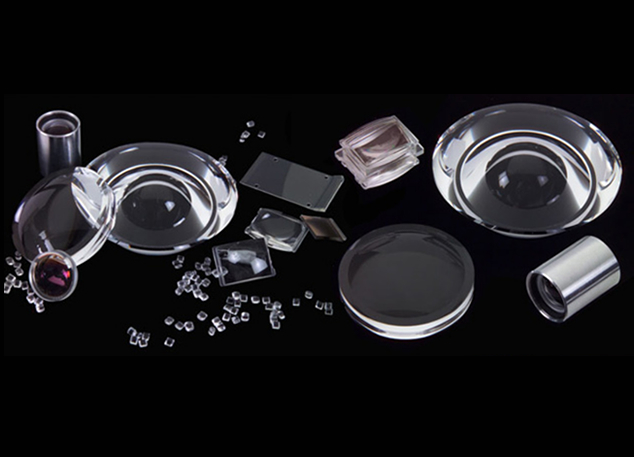 At SyntecOptics.com, we offer diamond turned non ferrous optics from Aluminum mirrors to Germanium lenses along with a wide range of non ferrous metals. Diamond turning is a precision machining technology where the machine tool operates in the nano range. Materials ranging from plastics to metals to infrared crystals can be machined using this manufacturing process. However, ferrous materials are not easily machinable because the carbon in the diamond tool chemically reacts with the substrate, which causes tool damage. Customers often ask Syntec Optics to make Aluminum mirrors, Germanium lenses and other non-ferrous optics made of Nickel, Brass, Copper, etc. Diamond machining technology is used to develop such high precision optical elements. Diamond turning optics are used in optical assemblies which find applications in missile guidance systems, telescopes, medical instrumets, etc.